US @AmbassadorPower in UNSC: #Russia 's action in #Ukraine is not a human rights protection mission. It's a violation of international law. Russian UN representative Churkin tells the UN Security Council that ousted Ukrainian President Yanukovych has sent a letter to Putin asking him to use Russian military force in Ukraine. Ukraine's ousted leader Viktor Yanukovich has sent a letter to Russian President Vladimir Putin requesting that he use the Russian military to restore law and order in Ukraine, Moscow's U.N. envoy said on Monday. 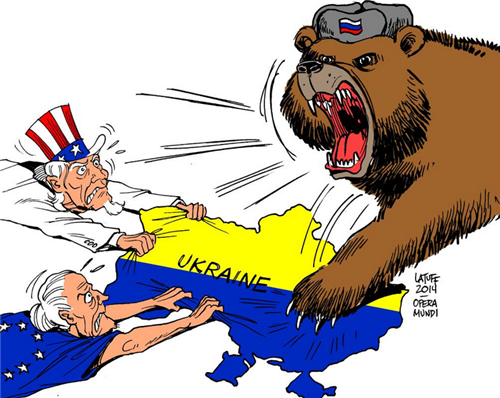 "Under the influence of Western countries, there are open acts of terror and violence," Russian Ambassador Vitaly Churkin quoted the letter from Yanukovich to Putin in an emergency meeting of the U.N. Security Council. Russian ambassador to the UN Vitaly Churkin on the Ukraine crisis: "What is happening evokes within us very deep concern." 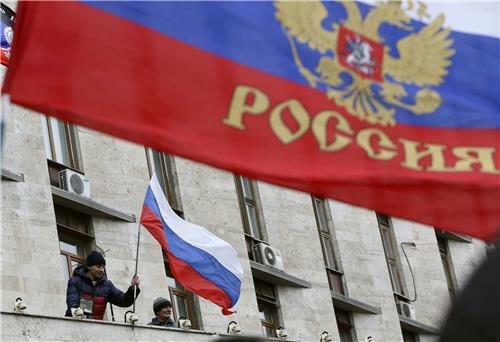 Churkin says that the Ukraine crisis is "breeding serious risks for Russia." The United Nations Security Council is now meeting on the crisis in Ukraine. We'll have updates here as the meeting progresses. With officials continuing with their diplomatic maneuvers over Russia's incursion into Ukraine, our colleagues at Al Jazeera English's The Stream have collected some fascinating political cartoons on the the Ukraine crisis, Russia and the West. See more here. Gas and oil prices have risen amid fears the Ukraine crisis could have a damaging effect on one of Europe's main energy supply routes. 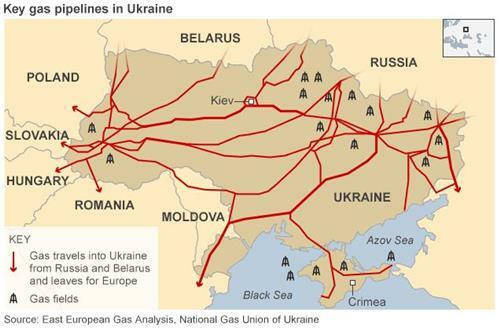 The BBC has a nice map tracing the flow of oil through Ukraine. 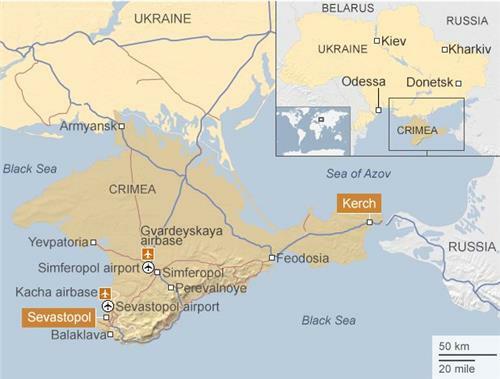 For those somewhat puzzled by the geography of the growing crisis in Ukraine, the BBC has a useful map. The Daily Beast's Josh Rogin has an interview with former Georgia President Mikheil Saakashvili, who battled the Russian army in 2008 for five days after the Russians invaded and is currently in Kiev to advise the new Ukrainian government. "Saakashvili is also there to deliver a warning to Kiev: Russia appears to be preparing for armed conflict in Ukraine and the world must be ready for that battle, just in case Putin can’t be dissuaded from the fight," Rogin writes. There several similarities between Russia’s 2008 invasion of Georgia and its 2012 invasion of Ukraine and one main difference. Russia has yet to cross militarily into greater Ukraine, outside Crimea, and wage a full scale invasion of the country, as it did in Georgia. 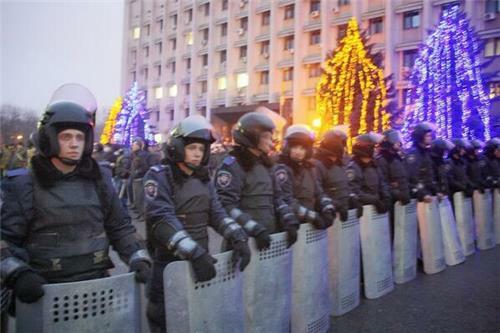 But Saakashvili said he sees plenty of signs that’s exactly what Putin plans to do next. There are multiple Russian intelligence organizations stirring up trouble all over Ukraine’s south and east with a goal of preparing a pretext for a large-scale military intervention, he said. The huge military exercises currently ongoing on the Russian side of the border are of the same scale to those that immediately preceded the Russian invasion of Georgia, he pointed out. Russia is also putting out massive amounts of propaganda to establish a narrative that could support a large scale intervention, again eerily similar to their actions in 2008. Article 4 of the Washington Treaty states that "the Parties will consult together whenever, in the opinion of any of them, the territorial integrity, political independence or security of any of the Parties is threatened." At a meeting with Israeli Prime Minister Netanyahu, President Obama said the steps Russia has taken in Ukraine are a violation of international law and sovereignty, according to Reuters. 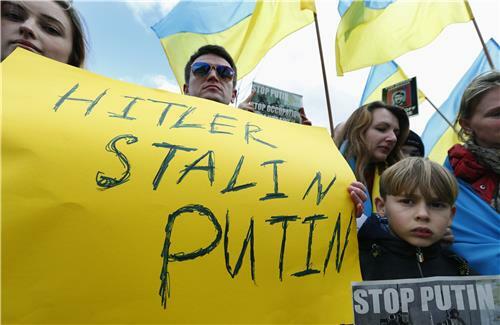 Obama said he wants to see the Ukrainian people determining their own destiny. He added that Russia cannot, with impunity, put soldiers on the ground in Ukraine and violate principles recognized around the world, Reuters reported Monday afternoon. Obama went on to say Russia is on the wrong side of history in a military intervention in Ukraine and the United States is indicating to Russia it is examining a series of economic, diplomatic steps that will isolate Moscow, according to Reuters. The president stressed Russia's Putin should allow international monitors to mediate a deal that is acceptable to all Ukrainian people. He said over time, Russia's actions in Ukraine will be a costly proposition for Moscow and said the situation in Crimea is deeply troubling. President Obama also urged Congress to provide a package of assistance quickly to the Ukrainian people, saying it should not be a partisan issue on Capitol Hill, Reuters reported. Senate Majority Leader Harry Reid said the United States should get Europe on board before levying punishment against Russia, according to POLITICO. The United States should hold off on punishing Russia until the European community is on board with a specific response to the growing crisis in Ukraine, the Senate’s top Democrat said Monday. In an interview, Senate Majority Leader Harry Reid said Congress should let the situation play out for “a while” before trying to impose any new sanctions on Russia, which is dispatching military forces into Crimea — forcing the West to scramble for a response. The comments are Reid’s first since the crisis in Ukraine deepened over the weekend. Congressional leaders from both parties have condemned Russia’s actions in recent days but have said little about how they might proceed. Reid said he’s spoken to White House chief of staff Denis McDonough “a couple times” about the situation and was scheduled to get a classified briefing from CIA Director John Brennan on Monday. McDonough also has spoken with Senate Minority Leader Mitch McConnell. Mom of an officer in a surrounded Crimea base today: "Can you imagine the phone calls every soldier is getting from his parents?" While world leaders worry about what the Ukraine crisis means for the global community and the balance of international power, Quartz examines what it means for your appetite — namely your morning bowl of cereal. Ukraine is the world’s third largest exporter of corn and fifth largest exporter of wheat, which has caused some havoc in those markets lately. While political unrest continues to grow in and around the country, global grain prices have charged upwards. ”The importance of the Black Sea region to global grain markets should not be understated,” Luke Mathews, an analyst at Commonwealth Bank of Australia, said in a note this morning (paywall). Global corn prices have risen by over 8% since the beginning of the year. The problem isn’t this year’s harvest—the country is sitting on some 4 million tons (3.63 million tonnes) of corn and 2.5 million tons of wheat, according to estimates by Agritel SA. The problem is that local farmers are sitting on their stockpiles instead of selling them off, because they’re worried about the possibility of an imminent and potentially debilitating currency depreciation. If reports that Russia has threatened to use force against the Ukrainian military are true, it would be a dangerous escalation of the situation in Ukraine, the U.S. State Department said on Monday. "These reports today of threats of force against Ukrainian military installations would, if true, in our view constitute a dangerous escalation of the situation for which we would hold Russia directly responsible," State Department spokeswoman Jen Psaki told reporters in a conference call. In response to reports the Russians are threatening Ukraine's navy, the Obama administration called such a situation a 'dangerous escalation,' The Associated Press reported Monday afternoon. The Obama administration says any Russian threat to Ukraine's navy would be a "dangerous escalation" of an extremely tense situation. The State Department says Monday Washington would hold Moscow directly accountable for such an escalation but did not elaborate on potential consequences. But department spokeswoman Jen Psaki adds that she could not confirm if Russia had in fact made such threats. 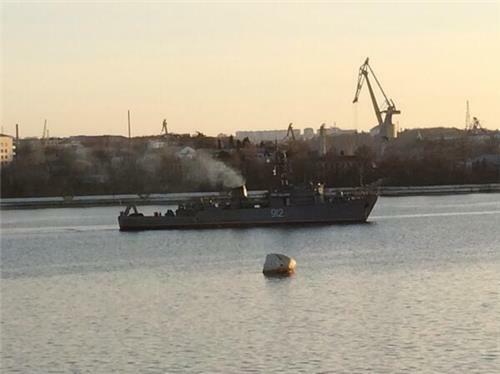 Earlier Monday, a Ukrainian military spokesman said Russia had issued an ultimatum to the crews of two Ukrainian warships in Crimea, demanding that they immediately surrender or be stormed and seized. Secretary of State John Kerry is leaving for Ukraine late Monday and then will travel to France and Italy. He had planned to see his Russian counterpart in Paris, but Psaki said that meeting was no longer certain. According to a statement, EU leaders to meet for extraordinary summit on March 6 in Brussels to discuss the situation in Ukraine, Reuters reports. EU's Ashton says the European Union calls on Russia to withdraw troops to bases and hold consultations with Ukraine, according to Reuters. Ashton says she expects the European Union to convene a summit of leaders and heads of state this week to discuss Ukraine, the news organization reports. According to U.S. Senator Chris Murphy, U.S. options for Russia over Ukraine include sanctions on Russian banks, freezing assets and imposing travel bans, Reuters reports. The U.S. Senate is reportedly considering authorizing sanctions against Russia over Ukraine but must work with Europe to be effective, according to Murphy. 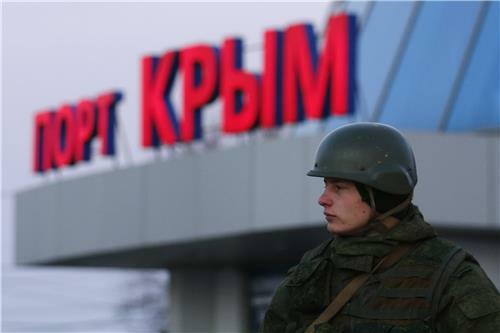 Russia's Black Sea Fleet has not issued an ultimatum to Ukrainian forces in Crimea to surrender by 5 a.m. on Tuesday or face an assault, Interfax news agency quoted an official at the fleet's headquarters as saying. Russia's Black Sea Fleet has a base in Crimea and Moscow has effectively established control over the peninsula, which is part of Ukraine. Interfax quoted an unnamed source in the Ukrainian Defence Ministry earlier on Monday as saying a deadline to surrender at 0300 GMT had been set by the Black Sea Fleet's commander. The same news agency later quoted an unnamed representative at the fleet's headquarters as saying no assault was planned, adding: "This is complete nonsense." According to a White House official, in his phone call with Russia's Medvedev, Vice President Biden made clear that Russia will face 'increasing political and economic isolation' if the situation in Ukraine is not resolved, Reuters reported Monday afternoon. According to a European Union diplomat, European Union governments have agreed to consider 'targeted measures' against Russia if Moscow fails to de-escalate the situation in Ukraine, Reuters reports. According to a draft statement, EU foreign ministers agree to suspend talks with Russia on visa issues because of the crisis in Ukraine, according to Reuters. 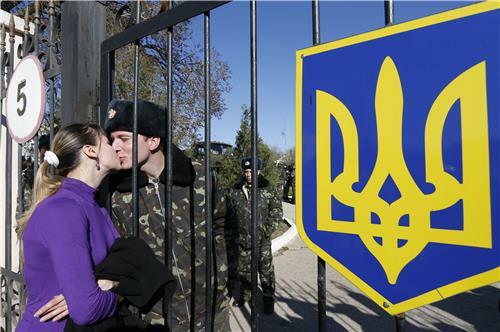 Interfax is quoting a Ukrainian defense ministry source as saying the Russian fleet has given Ukrainian forces in Crimea until 0300 GMT to surrender or face a storm, according to Reuters. That’s a nice thought, and we all know what he means. A country’s standing is no longer measured in throw-weight or battalions. The world is too interconnected to break into blocs. A small country that plugs into cyberspace can deliver more prosperity to its people (think Singapore or Estonia) than a giant with natural resources and standing armies. The Russian Foreign Ministry said on Monday that recent remarks by U.S. Secretary of State John Kerry contained threats against Russia and were "unacceptable". Kerry on Sunday condemned what he called Russia's "incredible act of aggression" in Ukraine after Russian forces took control of the Crimea region and parliament gave President Vladimir Putin consent to send the military into Ukraine. According to a statement from the Foreign Ministry, Russia says the G7 decision to suspend preparatory work on the G8 summit in Sochi has no grounds, Reuters reported Monday morning. Asked checkpoint guy at airport base near Sevastopol about rumored 4pm ultimatum for Ukrainian troops. He said "maybe today, maybe tomorrow"